You know VFD, but may not know this VFD. 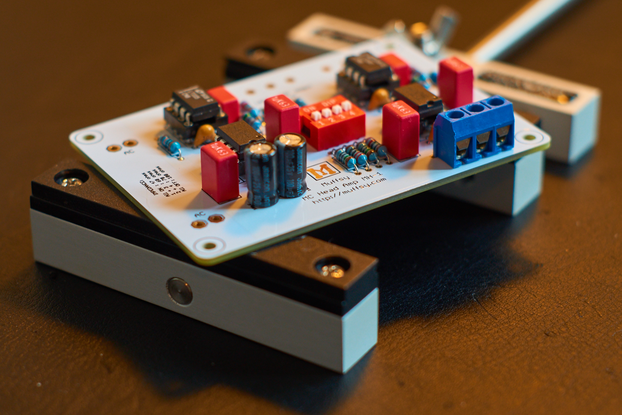 Yes, this amp kit is made of TRIODE named " Nutube" made by Noritake/KORG! 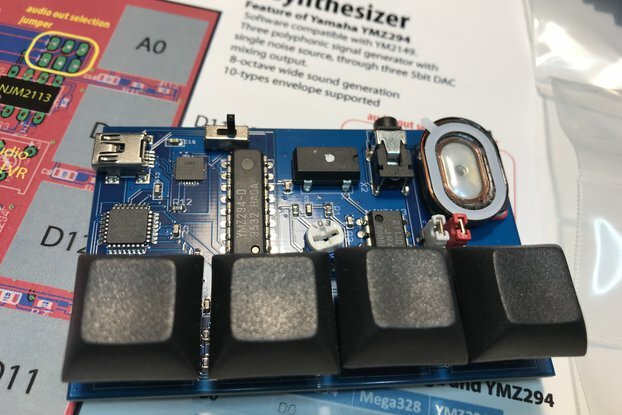 Revision 2 by new PCB is released!! 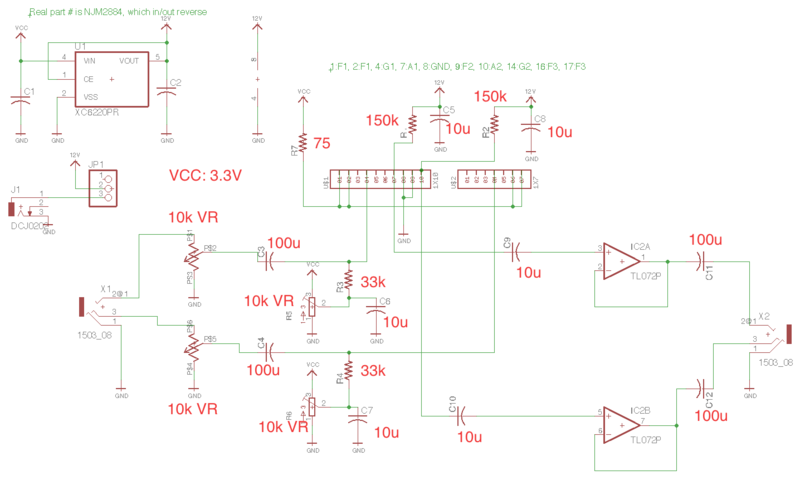 Circuit is almost the same but parameters are revised for better sound quality. A new sound surprise for you!! VFD is well known as digit display but not a amplifying device. A Japanese company Noritake and KORG made a incredible device by VFD technology. It looks like VFD but it works as a TRIODE. 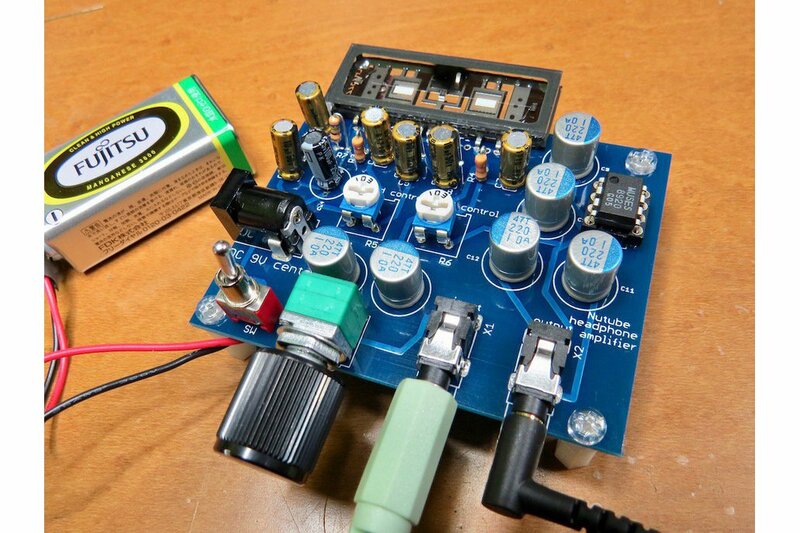 This is a headphone amplifier kit based on this completely new device, "Nutube"
It is known that the vacuum tube can produce more second harmonics than semiconductor amplifier. This is a kind of "distortion" and by just numerical (theoretical) estimation of amplification quality, indeed vacuum tune has nothing good. HOWEVER, it is also well known that second harmonics (actually it is a distortion) provides pleasant listening for human ears and brain. This is why audio maniacs are still stick to vacuum tube technology and searching tube all over the world. Surely I know its advantage but the drawback of vacuum is so huge including, heat production, high power consumption, heavy impedance transformer (in pure vacuum tube amp), so recently I did not make any tube related circuit until encountering Nutube! Nutube is true triode but does not require high voltage nor big casing, just looks like a VFD. I found a great potential for Nutube and tried to make a kit quickly in order to spread my excitement! As same as conventional tube, Nutube has very high input/output impedance. Input high impedance does not make matter but for load driving, some impedance converter should be prepared. In this circuit, just putting voltage follower in the output works fine. You may think "then the sound is made by semiconductor?" but rich "distortion" by vacuum tube cannot be produced by Op-amp. For this operation, I select very good (and high-class) operation amp, MUSES8920. MUSES is a high-end brand of JRC Japan, for high fidelity amplification. I noticed, most of important parts are made and designed in Japan. 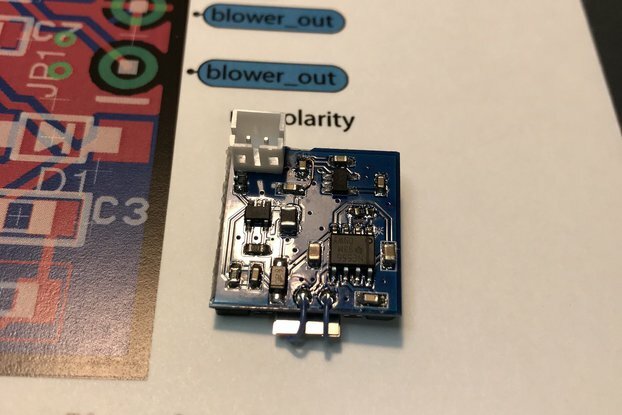 Some additional hint and tips are written in my hackaday.com project. Please refer them before purchasing!! The kit is easy to assemble. Board quality is good and had no issues with solder pads or anything. The slowest part was carefully inserting all of the Nutube pins - takes a little patience. Fired up the unit and adjusted the left and right balance to center the sound. I was blown away at how amazing the sound was! I typically use a decent usb DAC and this device was a totally different experience. I'm not an audiophile, but I can really appreciate this quality. Thank you so much for wonderful review on Nutube headphone amplifier. As you noticed, indeed, the sound from Nutube is clearly different from the one from solid-state semiconductor amplifier. Nutube is a kind of new invention, currently exclusively available from KORG/Noritake. Please enjoy wonderful sound. Thank you! If you want a new age tube amp, this is the one for you. Any audiophile will tell you that the best sound comes from audio piped through a vacuum tube. Something about the audio signal going through a vacuum triode slightly distorts the signal and gives it that legendary classic "warm" sound. The classic sound many recognize from old school vinyl records. The sound from old school AM radios. Many yearn for that sound. Alas in this day and age most audio amp systems use plain old transistors that simply amplify the signal straight up. No "warm" sound to be found. Now for all the good the legendary vacuum triode has accomplished there are a few caveats. First off, they are typically rather huge. Second, many require very high voltages on the main supply to work correctly. Lastly, good luck finding affordable vacuum tubes that are designed properly. So what's a person to do? Well, remember the old school vacuum displays on many devices from the 70s through early 80s? Those are VFD, Vacuum Fluorescent Display, devices. Those things are basically using the same glowing effect classic triodes use to make the symbols. 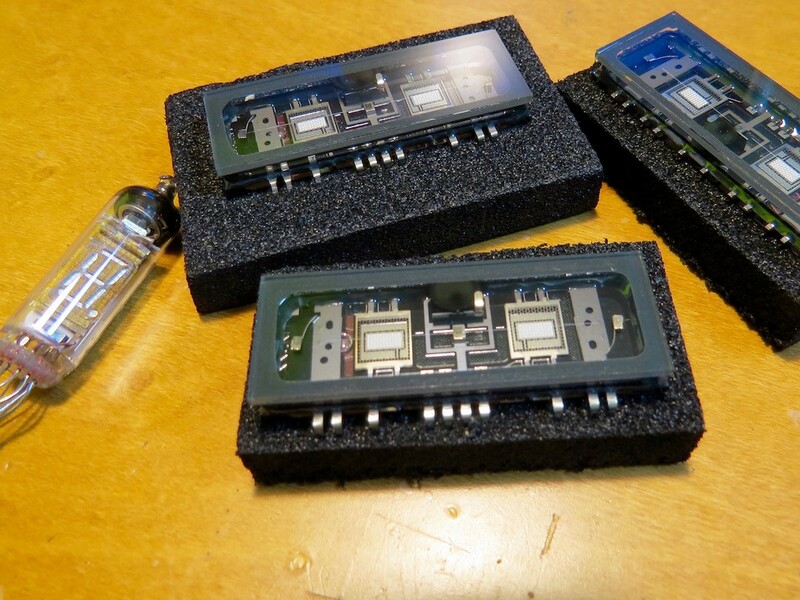 VFD is basically a smaller and more advanced triode. Low power usage and much smaller. A company figured out how to take this VFD tech and use it as a dedicated triode. Thus we now have the Nutube made by Korg. Old schoold triode in a new school VFD form. Low power usage and classic "warm" audio sound. You even get the classic vacuum tube glow from these things. That is what this audio amp uses. New age VFD triode amp. Gives that legendary warm distortion effect naturally. If you want a decent amp that gives the warm vacuum sound but want a small and low power package system get this thing. Assembly required. 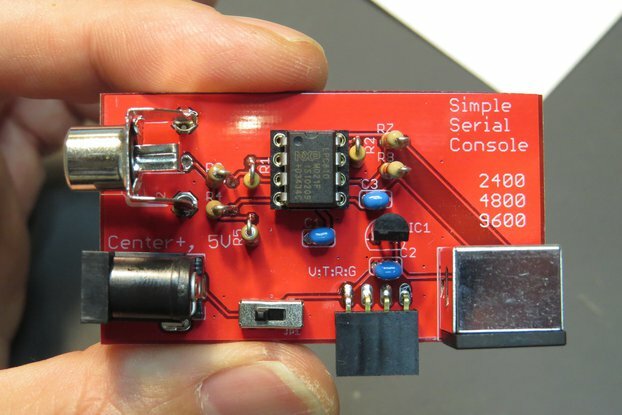 Get your soldering iron warmed up. I wish to express my deep gratitude for your great and detailed review on Nutube headphone amp. Indeed the review is better than my item introduction. Nutube is really a kind of new technology on vacuum tube. I've noticed some hardware hacker tried to make amplifier by pure VFD display (digit display) but this time KORG/Noritake specifically produced VFD for audio amplification. I hope you will enjoy wonderful sound produced by wonderful Nutube "tube". Thank you so much! Received in a very good shape! Yesterday received the item after 1.5 months traveling, I was little afraid about the NUtube that could be broken but everything came very well packed, clear instructions, quality components on small zipped bags, very nice PCB like a Pro, NUtube and IC SO8 with static sensitive spounges and the strauberry of the cake was a very nice Origami gift . Thanks! Thank you so much for ordering from opposite point on the globe! I am very happy to hear your satisfaction! Please enjoy wonderful Nutube sound! Thank you again! Works perfectly and also sounds really beautiful. Thanks for this great product. It was really easy to build. The on/off-switch was missing in my kit but I had one in my personal stock, so no big issue. Thank you so much for wonderful review and really so sorry for no switch shipment. I really appreciate your generous consideration for the missing parts and I hope "Nutube" will play wonderful sound beside you. Thank you again! this sweet sound Nutube is the future. This headphone amp kit arrived nicely. Well packaged, good parts and love the schematic drawing. easy to make. I finished in less than 1 hour. Hooked up with headphone, first impression was "hmm...high is little too much" but after a week of testing, the sound becomes unreal. To describe the sound in one word, i can say"PRETTY". If you are tube lovers, it sounds more like 300b. Not like macho KT88. I hook it up as a preamp with Mcintosh275(KT88) tube amp, it's well matched and i am super happy with the nutube. In the future, i would like to make preamp and go all the way to higher voltage to find out the nutube's true potential. Thanks to Toshiro that giving me a opportunity to try out the kit. 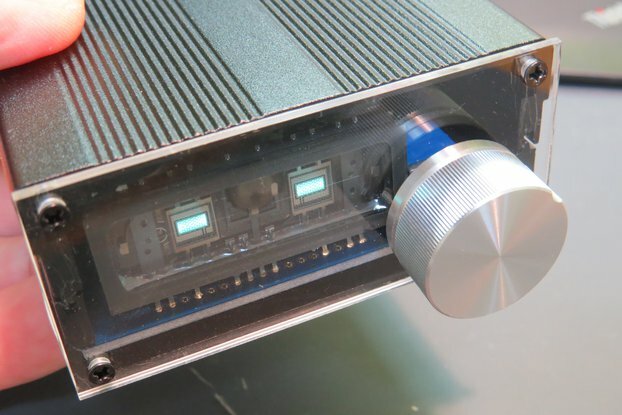 It is a ultra honor for the Nutube headphone amplifier to be connected to Mcintosh !!!!! I am really happy to receive your wonderful report, especially comparing very famous 300B. Thank you so much!! After a lot of readings about the Nutube I decided to give it a try. After a short waiting, ( surprisingly very fast delivery from Japan) today I could finally assembled it . Power up , a few adjustment and a big surprise to my ears. Of course , need to listen a few days more to give ears time to get used with the sound. But at first shot, the sound is very open, a good bass stage , the mid stage not very harsh and the highs clears. Of course depends a lot of the quality of the recordings. Good quality components , the PCB is very good manufactured , schematic diagram easy and clear to read. Thank you for a great experience and best regards from UK. Thank you so much for very nice review. I am also a fan of Nutube and I love its warm sound. In my all Nutube related kit, MUSES8920, which is also very famous for its good sound and it surely support sound quality. Again Thank you and I am very happy to see your satisfaction!! The designer of this unit has done well creating a preamp with such new "tube" tech and the instructions to it build are very easy to follow even for a novice. I am very happy to see your nice review comment! Indeed I myself enjoy good and pleasant sound of Nutube and I hope you will enjoy it!! Thank you! Amp works great, looks great, easy to assemble. I received one of the first-run kits about a month ago, but wasn't able to assemble it until now. Everything was well packaged and had both board layout and schematic documentation included. 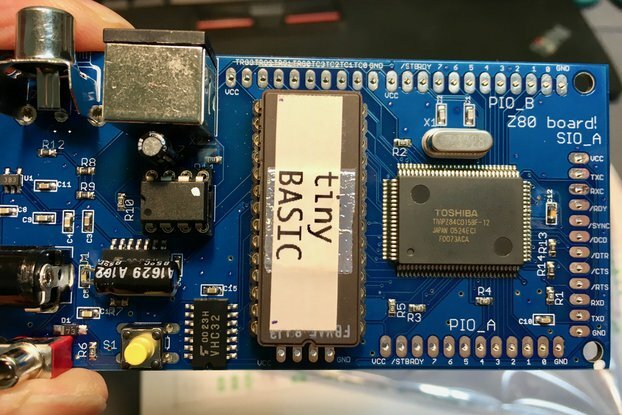 I needed to reference the hackaday.io project page and ask a couple questions regarding some part value differences I thought I found, but overall I had little trouble with assembly. Initially with the trimpots set at 50%, I heard some startup and operating noise, particularly with no audio input. Once I set the grid voltages correctly (mine are at about 2.25v) no distortion and little noise remain (only about <1s of startup noise). I'm using a 6xAA (1.5v) pack for power, and has a current draw between 45.5mA to 46.1mA when using my Grado SR80 headphones. I'm planning on installing this in a transparent enclosure for desktop use so I can see the VFD illumination while operating. It isn't bright enough to light a room or wall with, but is enough that it can be seen in indirect sunlight conditions. I wouldn't recommend using the amp on the go without sufficient vibration dampening, since vibration seems to be easily picked up by the VFD and can be heard in the output. Overall I'm very pleased with the kit, and would recommend it to anyone interested in trying or learning about tube-based amps. I am really surprised to see your masterpiece using Nutube. Indeed current shape is far beyond my kit. Excellent and thank you for nice and useful review. I really appreciate!